Balmar has been serving the Recreational Marine Industry for over 30 years. We supply DC Charging Products and Battery Monitors to help sailors and power boaters charge and monitor their batteries more efficiently. Balmar is recognized throughout the industry for its innovative technology, expert technical service and product reliability. The highest output and most reliable alternators available in the Marine Industry, including our patented Smart Ready® Alternator designs. External Multi-Stage Regulators which provide “smart charging” of your battery banks. Our New SG200 Battery Monitors for the most accurate battery monitoring available today. We support these innovative products with our best-in-the-industry Technical Service Group. We stick with you throughout the process of (a) identifying the best charging system for your vessel, (b) properly installing, and (c) optimizing the operation of your charging system. Just ask anyone who is using Balmar! Through our recent association with CDI Electronics, Balmar is also investing greater resources in quality systems and product development. Balmar products are now being assembled and tested in an ISO 9000-certified factory. 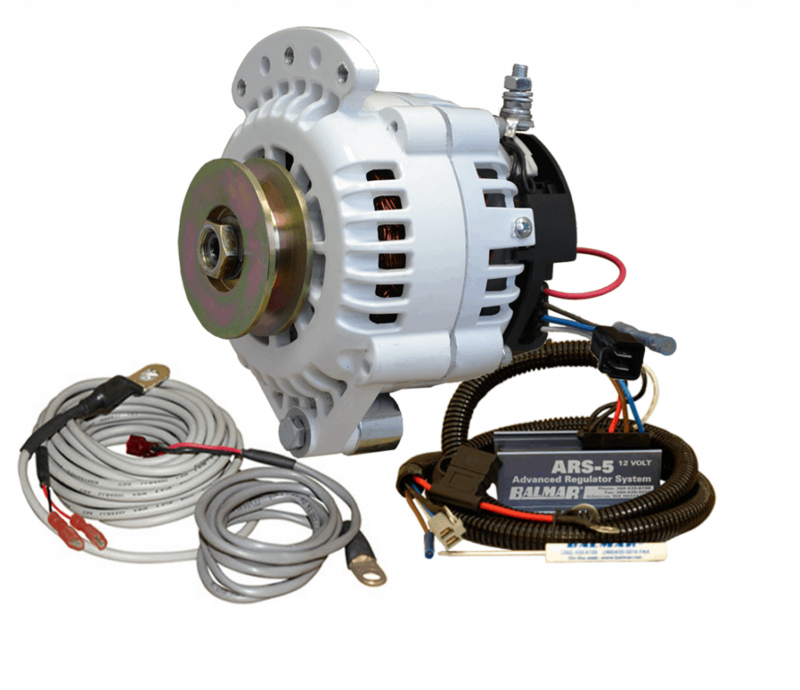 Balmar’s recently released XT-Series Alternators provide improved performance and lower cost compared to the AT-Series. XT-IR Series Alternators specifically targeted and priced for WakeBoats and Inboard Gas applications. The MC-614, MC-624 and MC-612-DUAL regulators now support Lithium Battery (LiFePO4) charge profiles. Balmar has vastly increased our offering of the patented Altmount® Pulley Conversion Kits. The SG200 Battery Monitor provides critical battery information on your Smartphone! Read our guide on Selecting a Balmar Charging System, then utilize our Charging System Configurator on the Home Page to configure a Balmar Charging System for your needs!